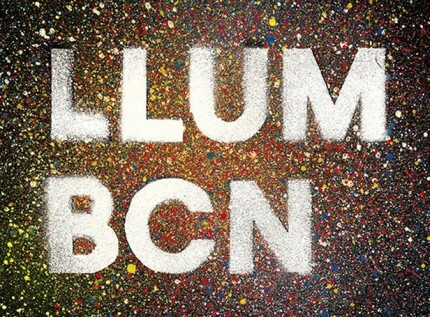 As day fades to night during the Festes de Santa Eulàlia, the city will light up for the LLUM BCN Festival. 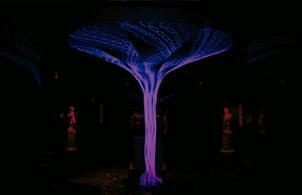 This year marks a particularly special occasion as UNESCO celebrates the International Year of Light and Light-based Technologies across the globe. 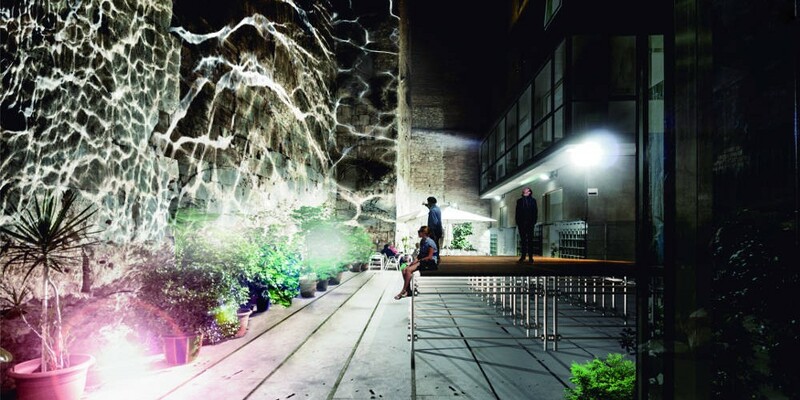 The Barcelona´s festival, now in its fourth edition, sees 20 innovative light installations and performances transform some of the Ciutat Vella’s most iconic buildings and bring new meaning to patios and public spaces scattered throughout El Gótico. This magical series of light-based spectacles showcases talented students and teachers from schools of design, lighting, architecture and interior design in Barcelona, in collaboration with the Institute of Photonic Sciences (ICFO) and the Professional Association of Lighting Designers (APDI), among others.The teachers and students who are going to participate will be from the following schools of design, architecture and lighting ELISAVA, UPC, BOX, LA SALLE, BAU, ETSAB, Esad, IAAC, TOOL and FDI. The colorful lighting will guide you through the streets of Old Town in each of the three LIGHT BCN routes.Just follow the lights and garlands adorned with fringes, which subtly step and tell you where you should go to see all the facilities.If you prefer, you can sign up for a guided tour of the hand of a lighting designer, every day from 7 pm journey into the world of light and you explain the secrets and magic of the different facilities. 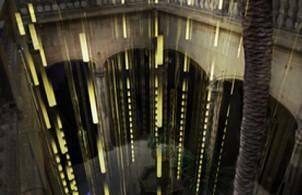 You should also go to La Pedrera, emotions in motion show.It will be on Saturday 7 February at 19:30 and 21 pm. A dance between reality and fiction in which eight dancers interact with live video projections on the facade of La Pedrera. The dancers dance to the windows and balconies, accompanied by images of different colors, shapes and textures that change the aesthetics of the building.Thanks to the magic of video, the show seems to ignore the gravity to allow the dancers move without limits on the facade, highlighting the richness of their movements and the work of Gaudí. 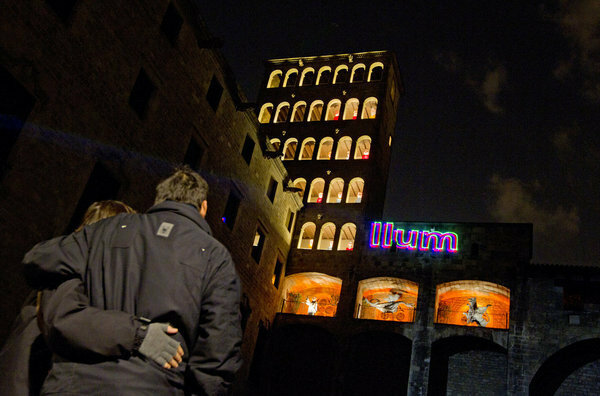 In Plaça de Sant Jaume, Facade of the City Council, you will hvae the chance to enjoy mapping projects.One of the projects is BARCEKHOLM,which is the first mapping on love. The building of Foreign Affairs in Stockholm (Sophia) and the City of Barcelona (Jaume) are about to awaken us to present a story about the connection between two cities. The other mapping which will be projected on the facade of the City Council is called´´5 features light´´.Five audiovisual capsules with which the audience will dream that the city will see through his eyes.Design, art and technology combined in a light that shows the city perceived as new generations of artists, among which are designers, art directors, broadcasters and advertisers, exploring the beauty, culture and diversity of the Catalan capital through the art of videomapping.